Bio: Antlered Aunt Lord is entirely Jesse Stinnard, a guy who’s spent the past ten years in Athens, Georgia as a cherished eccentric in a town known for its cherished eccentricities. HHBTM is honored to bring Stinnard’s tuneful genius into the light with his first official release. 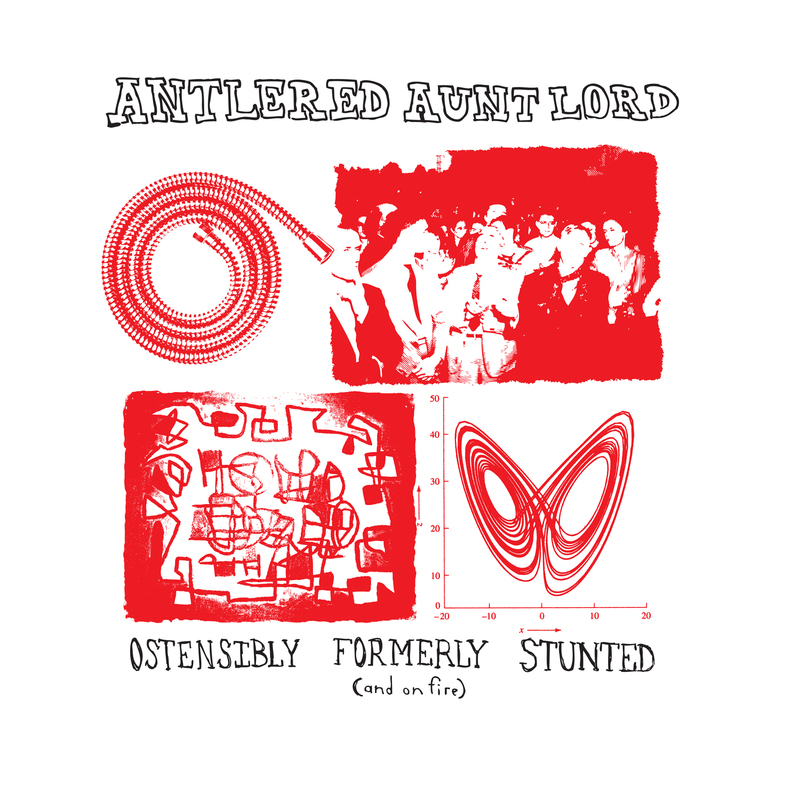 Antlered Aunt Lord is everything today’s music is not—melodic, lyrically inventive, reticent, and moving. Songs so catchy they sound like they emerged fully-formed from the radio, with lyrics so mysterious they sound like they emerged from your dreams. This is the prophet sharing—the missing link between the Pixies and The Byrds if they’d been raised in the Appalachians. Antlered Aunt Lord is thrown into a dark subterranean room where he gropes about and discovers that a deep pit yawns in the centre of the floor. Antlered Aunt Lord is where I was born, think of it! Sometimes it’s a dozen people playing a single chord for an hour while Stinnard accompanies them on drums. One night he brought a fiddle player and busted out the greatest country song you never heard. That one didn’t make the cut. Maybe next album. Antlered Aunt Lord is taciturn and used to spend the whole day just sitting in the middle of the house. 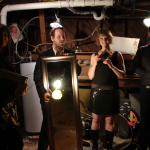 Culled from a several-hundred song backlog, Ostensibly Formerly Stunted (And On Fire) is the sound of brain fever on fire. You think of R. Stevie Moore until you realize he never made a song as moving as ‘Throwback Bikes’. You think of Robert Pollard until you realize Pollard hasn’t made a song as great as ‘Hi Beam Hi Priest (Blinker Fluid)’ since the last century. 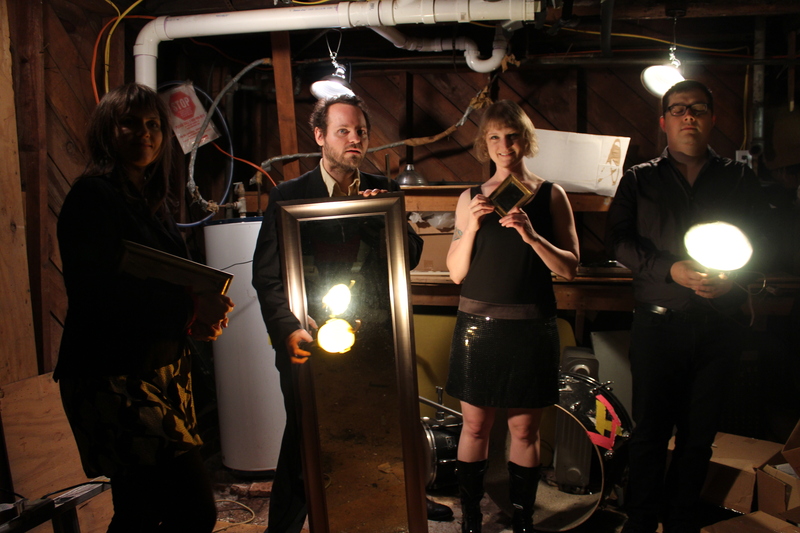 You hear the open-throated beautiful love of ‘Monopilot’ and think of early R.E.M. Then you remember that R.E.M. is dead. Antlered Aunt Lord is alive. Antlered Aunt Lord is the majority of women who live as nuns and are still not fully ordained. Antlered Aunt Lord is a painting of a cockfight, maybe in colonial times or whatever..
And so Antlered Aunt Lord emerges into the world, ready to be poked & prodded, picked over like a zoo animal that has been placed here for our entertainment. He has submitted himself, however half-heartedly, to the process. The music world is a better place for it and we can only hope he survives. Antlered Aunt Lord is the squeaking and grinding of the rollercoasters and mechanical rides and the barkers’ gravel-voiced spiels. Antlered Aunt Lord is an elementary substance having particular luster, insoluble in water. Antlered Aunt Lord is always with us until the day he comes back in all his glory.